Welcome to the official webpage of the Norfolk State University Spirit Program. As a member of the Spirit Program you will have the opportunity to be a part of the excitement of Spartan Spirit. 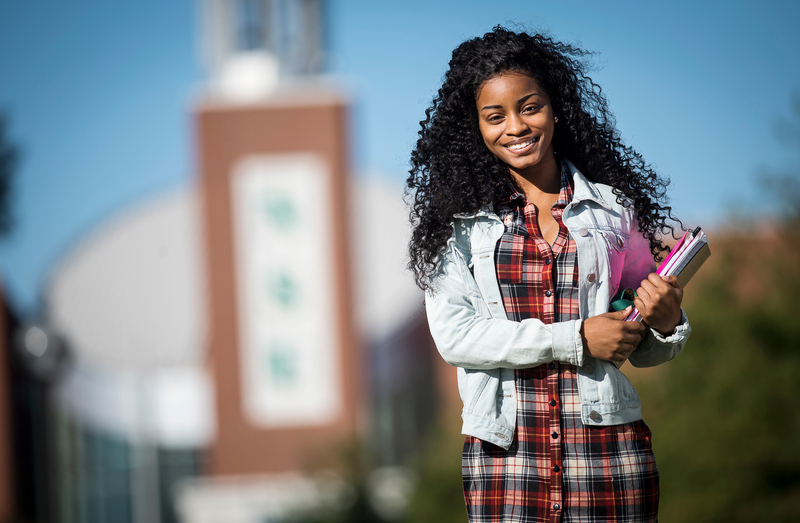 The Norfolk State University Spirit Program is a highly visible and enthusiastic group on campus. Our primary purpose is to support Intercollegiate Athletics and serve as ambassadors by appearing at university functions and community events. Members must be full-time students at Norfolk State University pursuing an undergraduate or graduate degree. All members must carry 15 credit hours and maintain a 2.5 semester and cumulative GPA while at Norfolk State University. From cheering on our football team in front of 30,000 fans to leading 7,000 basketball fans to the chant of “Behold the Green and Gold. As a representative of Norfolk State University you will be a part of a dynamic family that pursues excellence every day! Thank you for visiting the site and please let us know if you have any other questions by contacting Coach Khrystin Armor at (757) 823-8200 or via email at koarmor@nsu.edu.